What is the body's role in math learning? What math can be expressed within a dance system? What does it mean to use the body in a meaningful way? How do we know whether we are doing so? 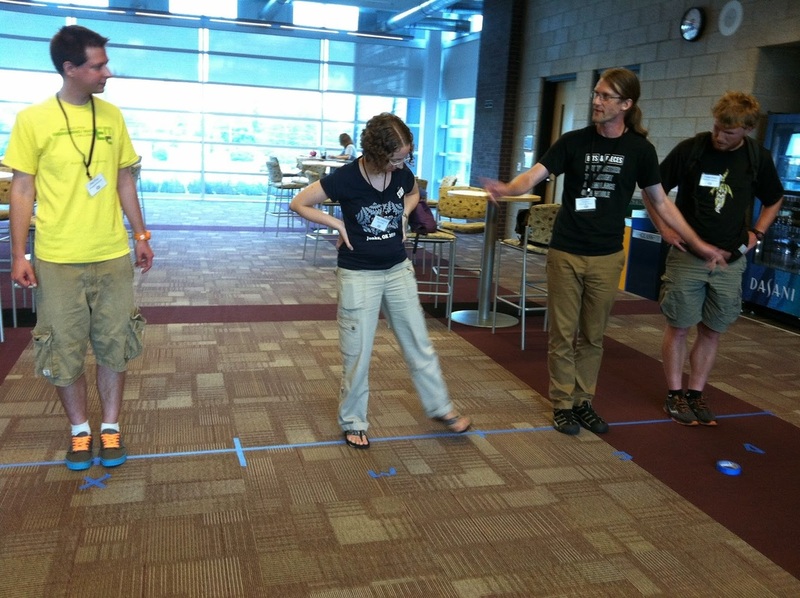 How can we use whole-body movement as part of a larger, comprehensive strategy for teaching math? Drawing from research and thinking in the fields of embodied mathematics and math education, as well as fifteen years as a dance educator, Malke's work focuses on conceptualizing math learning outside a textbook context and supporting educators in their quest to incorporate meaningful body-scale math into their own classrooms. Workshops include active experiences with the Math in Your Feet program and moving-scale math activities to help ground discussion, reflection and activity creation. This session is appropriate for educators of all kinds including classroom teachers, math educators, teaching artists, curriculum designers, and anyone interested in the powerful learning to be found at the intersection of the body and mathematics.